Welcome to this April edition of VET News. 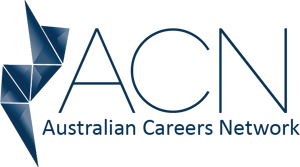 The big news in this addition (in my view) is the release of the new TAE40116 Certificate IV in Training and Assessment (Click Here). It is a very different qualification to its predecessor. It is not equivalent to begin with so that means that the 716 RTOs with TAE40110 on their scope will loose it in 12 months and will need to apply to have the new qualification added to scope. ASQA has established the most rigorous requirements for an RTO to add a new qualification to scope that I have ever seen. You can check this out here (Click Here). So, it will be quite difficult and expensive to add this new qualification to scope which will serve to clean out the number of providers. There is already lots of discussion on Linked-in about this with many saying that they will not bother to add the new qualification to their scope. It will be interesting to look back in 12 months from now to see how many RTO’s have added it to scope. I think we could see the current 716 reduced to below 150. The big differences is the return of the unit TAEASS502 Design and develop assessment tools as a core unit which I think is great. It was a huge mistake when this unit was removed and this will help to return one of the foundation skills we need in our sector. The unit TAELLN411 Address adult language, literacy and numeracy skills has also been included as a core unit which has been long expected. The qualification still only requires 10 units but now has 9 core and 1 elective as opposed to the previous 3 electives. The devil however is definitely in the detail. All of the units have now been re-published into the new format which means we have very specific performance and knowledge evidence requirements with specified frequency requirements. I always considered that the previous units were very clear anyway with specific requirements in the critical aspects, however they are now written even more clearly and impose some stronger requirements for the new units to be assessed. An interesting addition in the assessment conditions in most units is the requirement for the assessor to hold the TAE50116 Diploma of Vocational Education and Training or the TAE50111 Diploma of Vocational Education and Training or be able to demonstrate equivalence of competencies. This contradicts the Standards for Registered Training Organisations (RTOs) 2015 which from 1st Jan 2016 does not allow for demonstrated equivalent competence and only requires assessors to hold the competence at least to the level being assessed. Even from the 1st Jan 2017 in the standards it specifies the higher qualifications required to deliver TAE training products, but it also does not allow for equivalence and has a broader list of qualifications at Item 5 of Schedule 1 (Click Here). So, that is a bit strange. Why would they publish something in a new training product that directly contradicts a statutory requirement within a legislative instrument (the standards)? But,, overall, I am not winging. I am very happy with this new qualification. I think it is great that it is not equivalent as we need to clean out all of the RTOs that are currently delivering TAE40110 so poorly. It provides strengthened requirements to deliver and assess the people entering our sector as trainer/assessors and re-introduces assessment design as a core skill. Fantastic!! Now, the big question that many will be asking is, Do I need to go and upgrade my TAE40110 to TAE40116 if I work as a trainer/assessor? In my view the answer is no, you do not. 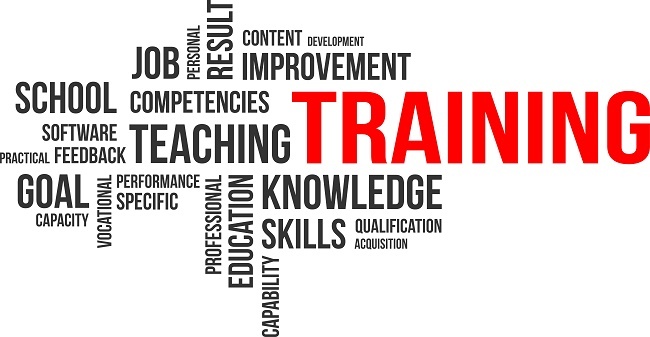 The standards say that an RTO’s training and assessment is delivered by persons who have the training and assessment qualifications specified in Item 1 or 2 of Schedule 1 which specifies the TAE40110 Certificate IV in Training and Assessment or its successor or a diploma or higher level qualification in adult education. So you do not need to upgrade to this qualification. You simply need to maintain your skills and knowledge in training and assessment. Now, I know this has been a long one, but before I go I just want to raise a concern I have about the upcoming May federal budget. There has been a bit of language coming from the media sparked by comments made by Senator Simon Birmingham about pending changes to the Vocational Training Market access to FEE-HELP scheme. Some commentators from the ABC have suggested this could mean the removal of the scheme from being available for the funding of VET qualifications. This worries me, as I think it would be huge mistake to exclude the higher VET qualifications from this scheme therefore excluding students who are choosing a vocational pathway for their career or who were not able to gain access to their desired higher ed course and are looking to a VET qualification as a bridge to achieving their career goals. I have been a very vocal critic of the mongrel’s who have so fraudulently and deceitfully profited from exploiting students and I think ASQA and the government is now doing a great job at cleaning this sector up and limiting the entry on new providers. But these are the bad eggs and we cannot forget that there are RTOs out there who are delivering amazing high quality training to their students. These RTOs are really making a difference in the lives of their students and to remove this capability from the VET sector and our economy would be a big mistake and an inequality. We must target and shut down those who have exploited students and we must support the good RTOs that are doing it right. Lets hope that common sense and good policy prevail. ASQA has published a Request for Tender (RFT) on AusTender for the establishment of an Audit, Accredited Course Evaluation, Investigation and Related Services Panel to operate from 1 July 2016. 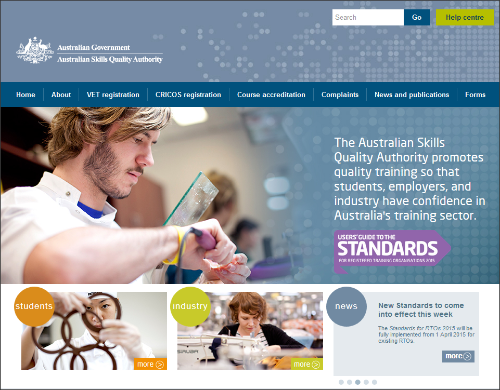 ASQA welcomes the announcement by the Australian Industry and Skills Committee (AISC) of an updated Training and Education training package which includes a newly approved Certificate IV in Training and Assessment which introduces higher standards for trainers and assessors across the vocational education and training (VET) workforce. ASQA sees the changes made by the AISC to the TAE qualification as the first step in a range of reforms that are required to enhance the reputation and standing of the VET workforce. More details of the changes can be found below in Training Package News. ASQA has commenced its 2016 training provider briefing sessions. More than 4,200 people have already registered for one of the 36 sessions happening across Australia. While 16 sessions have reached full capacity, it’s not too late to register to attend a briefing. The AISC held its seventh meeting on 21 and 22 March in Sydney. Consisting of industry leaders from across Australia, the AISC provides leadership to the VET sector, and provides advice to Ministers on the implementation of national VET policies. At the meeting the AISC endorsed eight training packages for implementation. It also reviewed its priorities and the Committee confirmed that its key priority for the remainder of the 2016 calendar year was to bed-down the new industry-led arrangements for training product development. The fifth skills session of the Council of Australian Governments (COAG) Industry and Skills Council was held in Sydney on 1 April 2016. 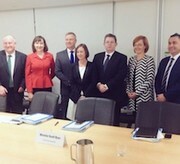 The meeting was chaired by the Minister for Vocational Education and Skills Senator the Hon Scott Ryan and brought together skills ministers from across the nation. The discussions focused on four priority areas in the vocational education system, including industry responsiveness, funding, quality and data. In this edition of the Data Support Bulletin there is information on classification and validation updates as at March 2016, tips on preparing for next year, and reasons for most popular calls to the NCVER Client Support team. As a result of the transition to the Standards for Training Packages there has been a temporary surge in the number of revised training products endorsed by the AISC. To assist RTOs to prepare for and implement revised training packages, the Australian Government Minister for Vocational Education and Skills and state and territory Skills Ministers have agreed to temporarily increase the period allowed to transition students from 12 to 18 months. The Australian Industry and Skills Committee (AISC) has approved an important update to TAE that, it says, will ensure that the VET workforce has better skills in the future. The changes specifically respond to the quality issues identified by ASQA through its strategic reviews. Changes include the addition of two new core units for the Certificate IV qualification. As expected TAELLN411 has been included as a core unit to ensure that VET practitioners have a greater understanding of the foundation skills required in their industry sectors. The second new core unit is TAEASS502 Design and develop assessment tools and the intent, according to the AISC, is to help assure employers that students graduating from VET courses will be more effectively assessed as having the necessary skills and knowledge to do the job. Click on the links below to view the Training Package qualifications recently implemented in States and Territories. The Queensland Government Department of Education and Training (DET) have recently launched their new Training and Skills – DET Facebook Page to help keep Queenslanders up-to-date with key training initiatives and subsidised training opportunities. The NSW Government State Training Services (STS) have published a series of new Job Guides to explain qualifications required, potential industries, job prospects and pay. The Guides also provides information about courses and finding a training provider. National Skills Week recognises, celebrates and informs students and the wider public of the diversity, benefits and career pathways associated with Vocational Education and Training. The 2016 National Skills Week events will take place on the 29 August – 4 September with a theme of ‘Discover your incredible journey to a career’. Australia’s finest young apprentices, trainees and students are gearing up for the ultimate trades and skills challenge: The 2016 WorldSkills Australia National Competition at the Melbourne Showgrounds on 6-8 October 2016. 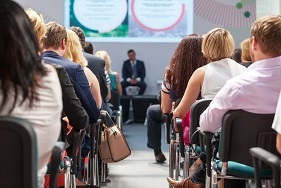 The 24th National Vocational Education and Training Research Conference, colloquially known as ‘No Frills’, was held from 6-8 July 2015 in Sydney. The focus was on three major themes: youth – engaging, inspiring and supporting students to realise their potential; pathways – transitioning through education and training into the workforce; and skills – working with industry and employers to improve education and training. Presenters were also invited to submit a paper on their research topic for peer review. These papers were compiled into this collection of conference proceedings. Can VET help create a more inclusive society? This is a summary of a research program undertaken for NCVER by the Melbourne Institute of Applied Economic and Social Research between 2011 and 2014. The body of work, comprising six projects, focuses on the impact of education and training on social inclusion and labour market outcomes for disadvantaged learners. Here, ‘disadvantaged’ is used to encapsulate those from low-socioeconomic backgrounds, individuals with a disability, those from non-English speaking backgrounds and Indigenous Australians. Increasing educational attainment is generally tied to better employment outcomes. The vocational education and training (VET) sector is often used as an entry point into post-compulsory education for individuals who have experienced disadvantage in their lives. But does increasing participation in VET by disadvantaged individuals necessarily lead to the same benefits as experienced by their non-disadvantaged peers? Specifically, do disadvantaged learners have similar completion rates and employment outcomes as their non-disadvantaged peers? Following a joint investigation by the Australian Competition and Consumer Commission and NSW Fair Trading into the conduct of private colleges, the ACCC and the Commonwealth (for Department of Education and Training) has filed proceedings in the Federal Court against Australian Institute of Professional Education Pty Ltd (AIPE). On 16 March 2016, Shadow Minister for Vocational Education the Hon Sharon Bird announced that Labor will undertake a comprehensive National Vocational Education and Training Sector Review to build a stronger Vocational Education and Training (VET) sector and weed out dodgy providers and student rip-offs in a statement released on 16 March 2016. The major private training provider Australian Careers Network (ACN) filed for voluntary administration on 22 March 2016, taking around $160 million of taxpayers’ dollars with it and leaving more than 15,000 students and 500 staff in the lurch, according to news reports and a statement from Shadow Minister for Vocational Education the Hon Sharon Bird. In a statement from Minister for Vocational Education and Skills on 29 March 2016, Senator the Hon Scott Ryan said he had spoken with Chief Executive Officer of ACPET, Rod Camm, and confirmed they are seeking to place all continuing students in ongoing studies at alternative providers. The news articles presented in this edition of VET News have been researched and prepared by Anne Maree Newbery. Copyright © Newbery Consulting 2016, All rights reserved.